The people of Central America planned to head toward Tijuana, Mexico. The Central American migrant caravan faced a desperate situation as its numbers swelled at the US-Mexican border, where it got a cold welcome and a warning that its chances of entering the United States were impossible. After spending more than a month traveling to the Mexican border city of Tijuana, walking and hitch-hiking much of the way, thousands of migrants faced the bleak reality that their American dream was impossible. The migrants were mostly fleeing poverty and unrest in Central America’s “Northern Triangle” — El Salvador, Guatemala and Honduras, where brutal gang violence has fueled some of the highest murder rates in the world. The migrants rushed through the Mexico-Guatemala border clashing with riot police and then fording the river between the two countries when Mexican authorities refused to let them through as a group. Moreover Trump signed an order on 9th November 2018 denying the possibility of asylum to people who enter US illegally which contradicted with Immigration and Nationality Act 1965. Under the proclamation, Trump stated that only those foreigners who enter the US at official check points as opposed to sneaking across the border can apply for asylum. The federal judge said any foreigner can apply for asylum whether or not entering at a designated port of arrival according to Immigration and Nationality act 1965. If we compare the Rohingya crisis with what US president did to the migrants of Central America, our Prime Minister Sheikh Hasina is more lenient. When violence erupted on 25 August in 2017, in Myanmar’s Rakhine State, more than 723,000 fled to Bangladesh. By contrast the people of Myanmar did not face this hurdle. Rather they got camps all over the Kutupalong area when they reached Cox’s Bazaar. Bangladesh government has responded generously throughout the crisis. They spared no effort to help, straining their already limited resources. The humanitarian response in Bangladesh remains focused on meeting the massive humanitarian needs. 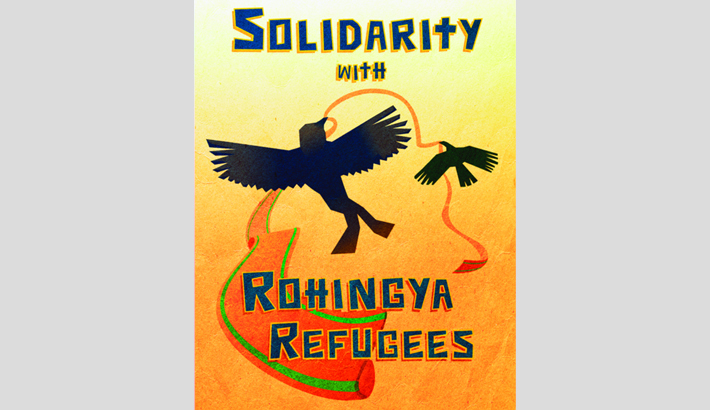 On November 15th 2018 the repatriation process was supposed to start but the Rohingyas were unwilling to go. They were so afraid they shifted from one camp to another to evade repatriation. The Bangladesh Relief and Repatriation Commissioner said that the repatriation will be voluntary as no one will be forced, which symbolises kindness and humanity which the world can learn. Bangladesh, tried to quell the panic by instructing NGOs that it maintains commitment to voluntary returns and that all NGOs should continue their work as usual. From the preceding paragraphs we can perceive that in one country people are being oppressed and yet the US president did not show empathy towards the people of Central America regarding the violence and poverty they have been through. On the other hand, the Rohingya refugees were not turned away when they arrived in Bangladesh and furthermore when the time of repatriation came ‪on 15th November, when the refugees refused to return they weren’t forced. The world has lauded Bangladesh‘s efforts in accommodating over a million Rohingya refugees. Honorable Prime Minister Sheikh Hasina inspired us to help the hapless Rohingyas. This is the humanity of the longest serving leader of our country. She is indeed the epitome of love, sacrifice and strength. What Bangladesh did in the Rohingya crisis is way beyond noble. The way it saved the lives of millions of Rohingya men, women and children is highly commendable. The global community had expressed tremendous appreciation to the Bangladesh government for providing them refuge and effectively handling this manmade disaster. Last but not the least she even planned to give them a better place for shelter at Bhashan Char and she renewed her calls to international community to pressurise Myanmar to take their nationals back as soon as possible. The refugees will not be forced to be relocated to Bhashan Char. The relocation will be voluntary said the state minister for disaster management on 29th January 2019. A sewage treatment plant was put at the Kutupalong camp in Ukhiya which is the largest camp for refugees in the world, an unbeatable task done by the Bangladesh Government under the leadership of Prime Minister Sheikh Hasina. American actress Angelina Jolie visited the world’s largest refugee settlement and praised Sheikh Hasina’s leadership as “exemplary” for keeping Bangladesh’s border open for the Rohingyas who have fled violent persecution in Myanmar. She says the world needs more leaders like her. Angelina Jolie has praised Bangladesh for sheltering the Rohingyas. She termed the prime minister an example-setting leader, priceless for the entire nation.